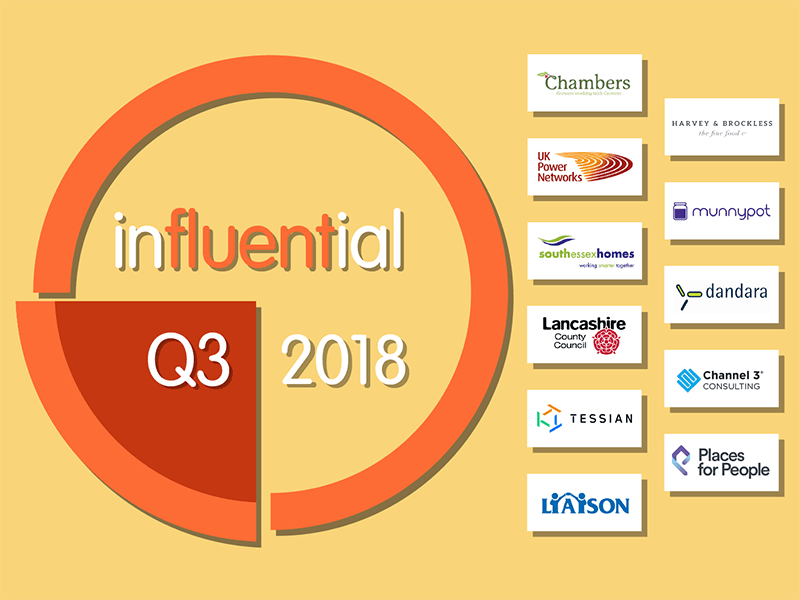 Building on a good start in Q1 and hot on the heels of our gains in Q2, Influential Software has created countless value across UK industries with our new clients in Q3, 2018. From government to energy, financial services to property, and IT to food and beverages, our team has carried out a range of transformative projects this quarter. Organisations have seen the clear advantage of Influential Software for website development, support, licence sales, consulting, migration, training, and business intelligence services. WB Chambers is a privately owned farming business based in Southeast England. The company has 350 hectares of production area across 14 locations in Kent. WB Chambers farms produce crops including raspberries, blackberries, blackcurrants, redcurrants, cherries, gooseberries, strawberries, blueberries, and rhubarb. Influential Software’s long and successful history in business intelligence drew WB Chambers to engage our services. South Essex Homes is a not-for-profit company that provides housing services on behalf of Southend-on-Sea Borough Council. The company works to bring all housing in the area up to the Decent Homes Standard and improve satisfaction levels among residents. Influential Software’s strong record with public sector organisations convinced South Essex Homes to draw on our deep business intelligence expertise. UK Power Networks owns and maintains electricity cables and lines across an area of 29,000 square kilometres, across London, the South East, and the East of England. The company ensures the smooth running of the electrical grid, upgrading power equipment and preventing and addressing issues such as power cuts. Influential Software expanded its range of strategic partnerships this quarter by becoming an Adaptive Insights Partner and Solution Provider. Our clients can now access cutting-edge financial planning software with the benefit of our consulting and technical expertise. If you’re interested in Adaptive Insights solutions, why not visit our dedicated site? Lancashire County Council is the local authority for Lancashire, a non-metropolitan county in Northwest England. The council provides services for a population of 1.4 million, including care services, employment, education, healthcare, transport, and recreation. Influential Software’s long-standing success with public sector organisations was a factor in the council’s decision to engage our software experts. Harvey and Brockless is a producer and distributor of specialty foods, supplying restaurants, bars, food manufacturers, and farm shops. The company specialises in cheese, with the largest collection of British farmhouse cheeses in the UK. Other ranges include Mediterranean deli products, British cured meats, and the company’s own sauces and dips. Munnypot is a personalised investment advice service. The company uses robo-advisers to provide automated, algorithm-driven advice. Customers decide on a goal, such as buying a new house, and receive tailored recommendations. Munnypot was named Most Innovative Robo Advice/Guidance Proposition Award and Best Website – DFM/WM at Investment Week’s Investment Marketing and Innovation Awards 2018. Influential Software added HULFT to its list of partners this quarter, launching sites for HULFT Integrate and HULFT Transfer. Our HULFT capabilities are another way of creating the fast, integrated, error-free, secure and efficient businesses that the UK needs. Dandara Group is one of the UK’s largest independent property development companies, with over 10,000 customers. Dandara covers all aspects of property development, from land buying to planning, designing, building, and sales. Channel 3 Consulting is a company specialising in digitisation and ICT implementation in healthcare and the public sector. Channel 3 Consulting is an approved supplier to the NHS and the public sector, acting as partners for Guys and St. Thomas’, Newcastle, and St. George’s. Tessian is an information technology and services company based in the UK. The company provides solutions for email security, countering threats such as spear phishing, misaddressed emails, and unauthorised emails. Tessian’s machine intelligence solutions automatically identify threatening activity and notify users, with separate solutions for different types of threat. Influential Software forged a partnership with Dell Boomi this quarter, adding another string to our integration bow. With Dell Boomi’s integration platform, our experts have created savings in time, cost, and effort for all sectors of the UK economy. Are you interested in Dell Boomi integration? Feel free to explore our dedicated site. Places for People is a property management, development, regeneration, and leisure company, managing over 182,500 homes in the UK. The 20 companies within Places for People provide services such as building and managing homes, providing job and training opportunities, supporting new and existing businesses, financial products such as mortgages and loans, and care and support services. Founded in 1988, Liaison provides specialist financial management and workforce management services to over 300 NHS clients. The company provides VAT advice, recovery, and compliance services to over 40 percent of NHS trusts and health boards. Liaison’s workforce management services include direct engagement, weekly payroll, and support with developing staff banks. Carrying forward the momentum from Q1 and through Q2, Influential Software has made transformative steps across all sizes and sectors. But one thing’s for sure: there are many influential clients yet to come.